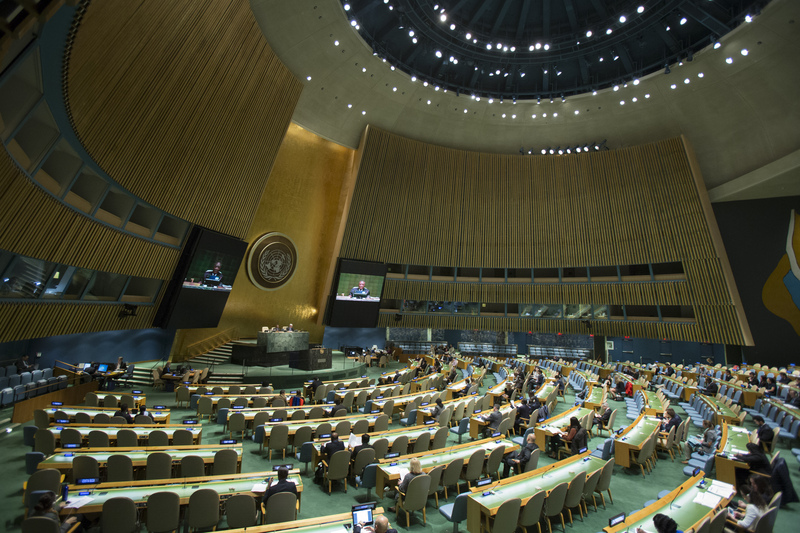 New York - Member States of the United Nations (UN), through the General Assembly, today unanimously adopted a resolution approving the Agreement to make the International Organization for Migration (IOM) a Related Organization of the UN. The Agreement outlines a closer relationship between IOM and the UN to strengthen the cooperation and enhance their ability to fulfil their respective mandates in the interest of migrants and Member States. Through the Agreement the UN recognizes IOM as an indispensable actor in the field of human mobility. This includes protection of migrants and displaced people in migration-affected communities, as well as in areas of refugee resettlement and voluntary returns, and incorporates migration in country development plans. This paves the way for the Agreement to be signed by the UN Secretary-General Ban-Ki Moon and IOM Director General William Lacy Swing at the UN Summit for Refugees and Migrants on 19 September 2016. The Summit will bring together UN Member States to address large movements of refugees and migrants for more humane and coordinated approach. The Summit comes at a time when global perceptions of migrants have grown negative and are increasingly informed by xenophobia. It will focus the world’s attention on the challenge of global migration as a reality to be managed rather than as a problem to be solved. “The General Assembly’s decision to approve this Agreement shows the growing strength of the relationship between IOM and the UN,” said DG Swing. “IOM has worked closely with the UN since our foundation at both operational and policy levels. IOM Member States recognize IOM as the global lead agency on migration. And now, becoming a part of the UN family will give IOM a vital voice at the UN table to advocate for migrants and their rights worldwide. IOM, which assisted an estimated 20 million migrants in 2015, is an intergovernmental organization with over 9,500 staff and 450 offices worldwide. Founded in the wake of the Second World War to resettle refugees from Europe, IOM celebrates its 65th anniversary in December of this year. The Agreement between IOM and the UN can be found on the United Nations website here. For further information, please contact Leonard Doyle (IOM Head of Communications & Spokesperson), Tel: +41792857123, Email: ldoyle@iom.int.